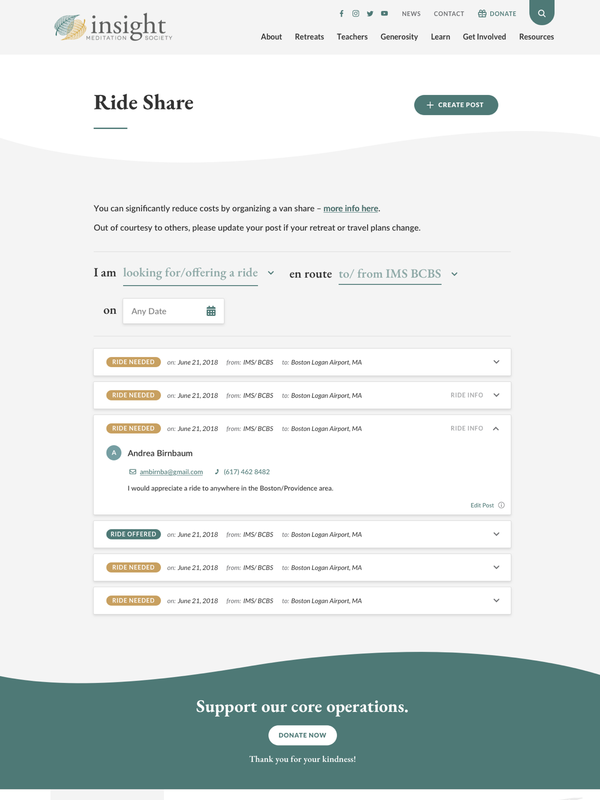 In the spirit of community, the IMS Ride Share application gives yogis the opportunity to find or offer a ride to their two retreat destinations. 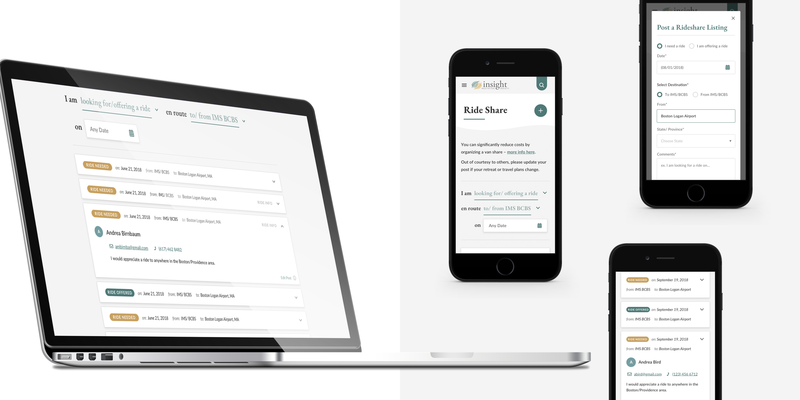 Alongside our work in redesigning the IMS website, we re-envisioned their Ride Share application for a more intuitive user experience. 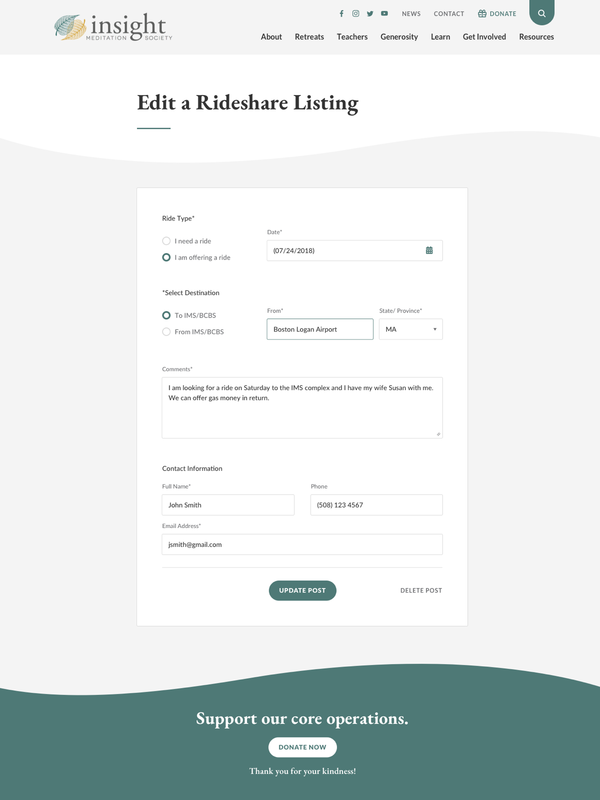 The premise was to map out easily identifiable filters so that users can sift through ride options and contact fellow retreatants if necessary. Once a yogi/practitioner signs up for a retreat, they gain access to the Ride Share page. Being a carpool-type service, the mobile design was our top priority. 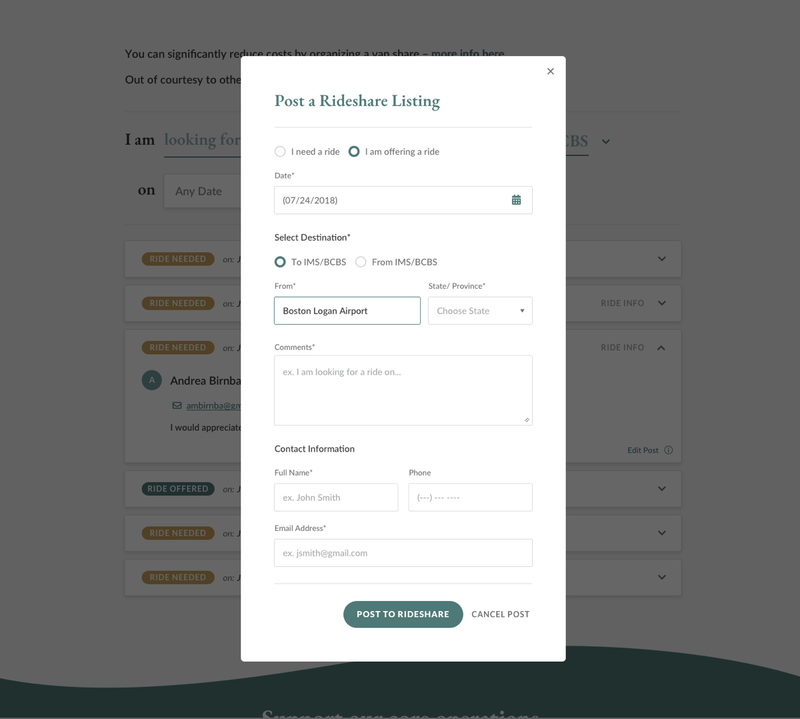 Users can create or edit a listing with a few taps of the screen, from any device. 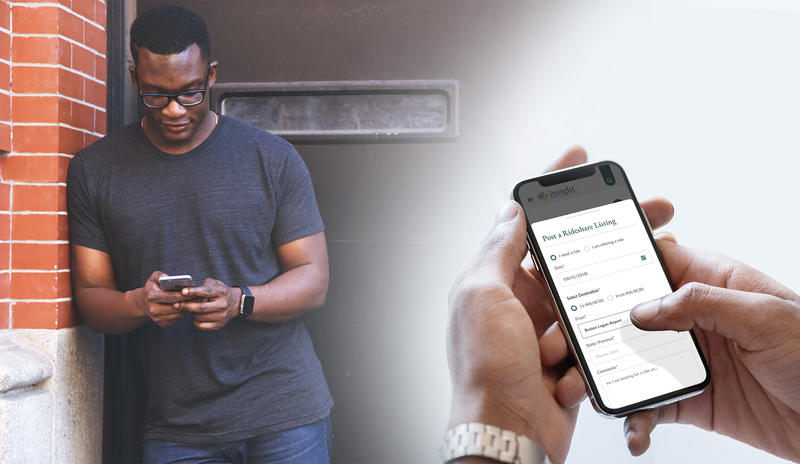 Since plans change frequently, it was crucial that we gave users a seamless experience even on the fly.